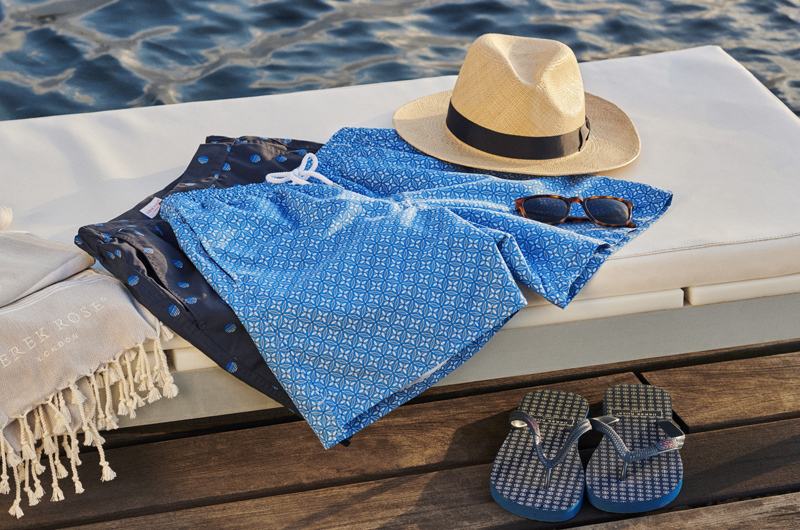 A beautifully soft, lightweight and vibrant cotton forms the base of our Ledbury 21 men's modern fit boxer short, whilst our repeat geometric graphic in blue and white creates an eye-catching print. Inspired by the Santa Barbara Botanic Garden, this geometric print utilises layered up elements of our DR logo to create a floral repeat pattern. 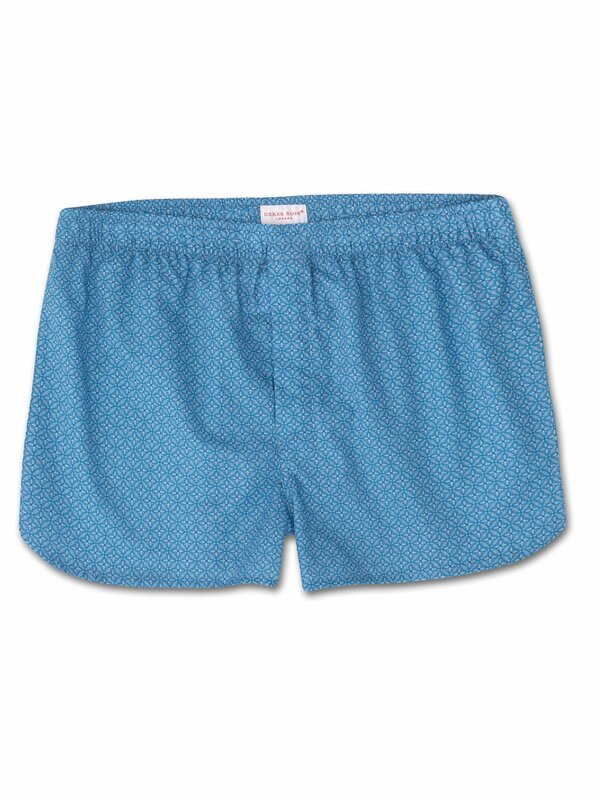 Designed for lightweight comfort, these boxers are made from our signature cotton batiste fabric which is supremely soft and provides cool comfort throughout the seasons. A modern take on the boxer short - our modern fit boxer shorts feature a streamlined shape for a flattering design that remains comfortable.